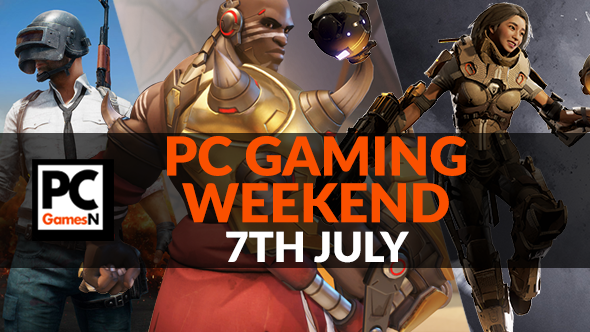 Your PC gaming weekend: win an Nvidia 64GB USB stick, dominate as Doomfist, play the LawBreakers beta, and more! Happy Friday everyone! We’re back with another installment of Your PC gaming weekend. What does that mean? It means there’s plenty of PC gaming to do over the next couple of days and we’re going to help guide you through the best of it. We not only have new dungeons to raid, aliens to battle, and heroes to try out, there’s a giveaway to enter and a modern classic to play for free. If you want to find out more then move your eyes on below. Let’s get some proper gaming done! Win a super-limited Nvidia 64GB GeForce GTX USB stick! There are only 1,080 of these USB sticks in the entire world. And you could own one! All you have to do is enter our giveaway at the link above and you could become part of a pretty exclusive club. What have you got to lose? After much teasing, our boy Doomfist is finally here, but only in the Overwatch PTR for now. If you’re in it then you can get playing as this new punch-based Offensive hero. He’s got surprisingly great mobility and will take some time to figure out how to get the best out of him. For the rest of you, Doomfist should be available on a wider scale in a couple weeks. 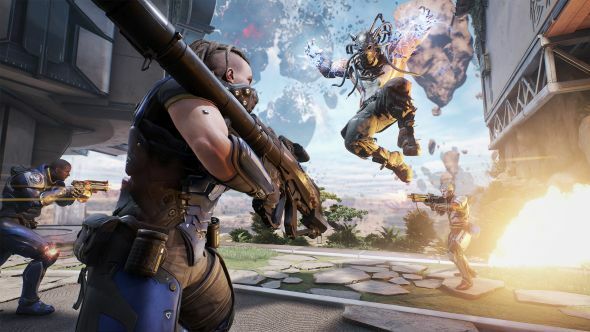 The LawBreakers public beta launched last week. We’ve been spending the time between now and then figuring out how best to play the game as each of its different classes. As such, we’ve put a guide together for you to consult should you start playing it yourself. And you should – it’s quite a lot of fun. If you still haven’t played Middle-earth: Shadow of Mordor then now you have no excuse not to. It was only a few quid during the Steam sale but now it’s having a free weekend. You can start rolling about in the mud with orcs for free. C’mon, get in there! Stormblood got its first patch this past week and it brought more than just a bunch of simple fixes. It added new Omega raid dungeons for you to head into and, let’s be honest, probably experience a horrible death within. Good luck! Alright, calm down. There isn’t an Overwatch Netflix series on its way. It would be great if there was, but it isn’t to be, at least not yet. However, one fan with some decent editing skills put together a trailer for an imagined Netflix series. It will bring you lots of joy. The next Hearthstone expansion isn’t far away now so you should be looking to hoard as much gold as possible. Thankfully, Blizzard are making that easy with the latest Tavern Brawl as it gives you double the rewards. Time to hunker down this weekend and earn some gold. A bunch of rabid Grand Theft Auto Online fans discovered a secret alien mission early in recent weeks. Those cheeky mares! The benefit of them having done so means that you now have something completely new to do in the game. We’ve supplied a guide so you can discover the extraterrestrials for yourself. Rayman probably isn’t the first game you think of when it comes to PC games. Alas, the man with no arms and legs has been on our platform of choice since his first appearance in 1995. Now we can wind back time even further with the reveal of a prototype for the first game which has now been released on PC. A bit of PC gaming history, anyone? A gaming classic, Metal Gear Solid deserves to play its best on PC, and now it does. One talented fan has got the stealth game spruced up for modern machines, meaning it looks and plays better now than it ever did. Time to indulge some nostalgia this weekend I reckon.